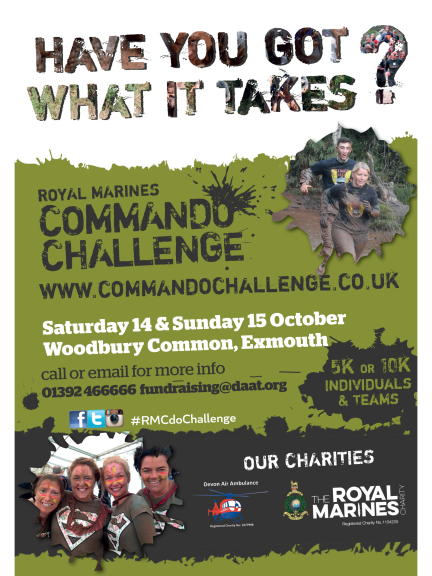 Royal Marines Commando Challenge – are you up for the challenge? Are you looking for a unique event to take part in? Looking for something that will challenge you? 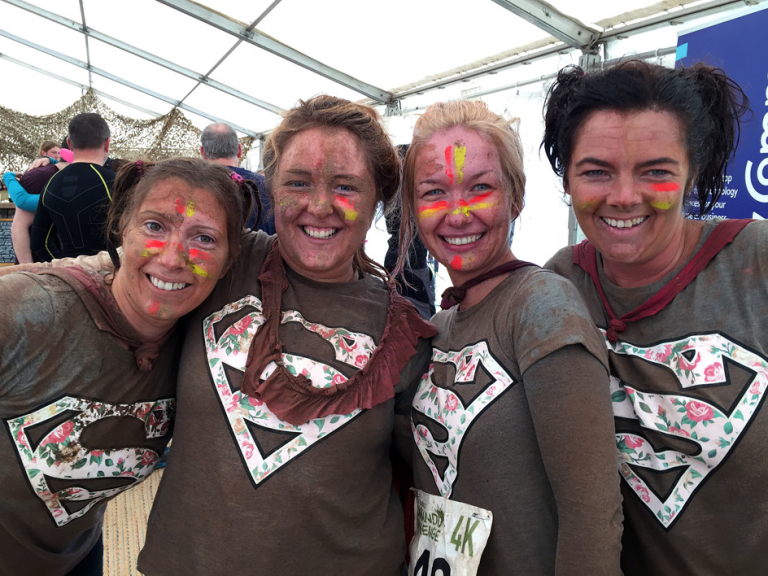 Fancy doing something with a group of friends or work colleagues? Then we have just the event for you! The Royal Marines Commando Challenge will take place again this year on Saturday 14 and Sunday 15 October. Find out more atwww.commandochallenge.co.uk. Early bird prices are still available until early August, but places are filling up fast. If you want to take part make sure you enter without delay to avoid disappointment. You can enter online at www.commandochallenge.co.uk/signup or alternatively ring 01392 466666 or email fundraising@daat.org for a hard copy entry form. The charities are asking entrants to pledge to raise £50 per person in order to add their support. If you’re on social media why not check out the Facebook page ‘Commando Challenge’ or twitter @RMCdoChallenge where you can find out all of the latest news hot off the press.